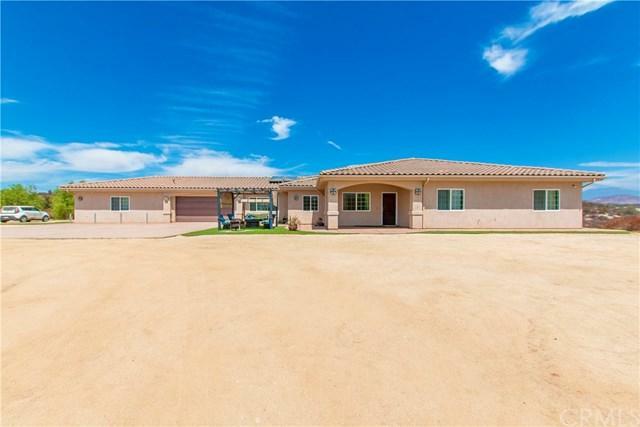 Welcome home to this beautiful Mediterranean Style Custom SINGLE STORY home in the heart of Temecula Wine Country! 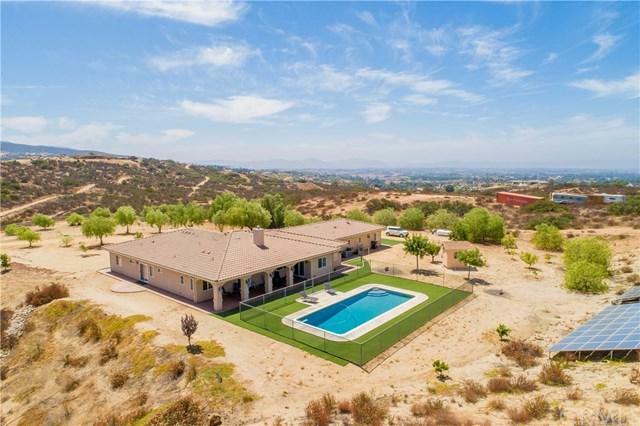 The home is situated on a sprawling 5 acre piece of land with amazing views of the Temecula Valley. The private driveway leads up to the main home and upon entry to the home you are greeted by a lovely formal living room. The gourmet kitchen features stainless steel appliances, 15 foot center island & breakfast bar, upgraded cabinets, & granite countertops which overlooks the family room complete with a cozy tile surround fireplace. In the oversized master suite you have an attached master bath complete with a jacuzzi tub, large walk-in shower, his & her sinks, & walk-in closet with custom built ins. The remaining bedrooms are a good size with walk in closets & share a hallway bath. 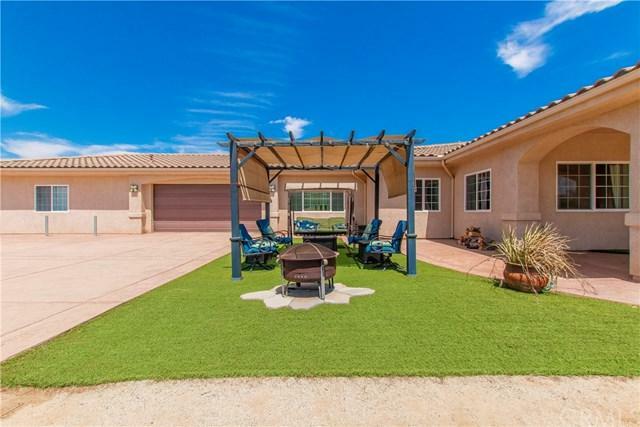 Outside you will find an entertainers backyard sectioned off with a covered patio, salt water swimming pool which is heated with solar, & a horseshoe pit. The oversized 3 car garage & RV parking with complete hook-ups leaves plenty of room for all your toys. 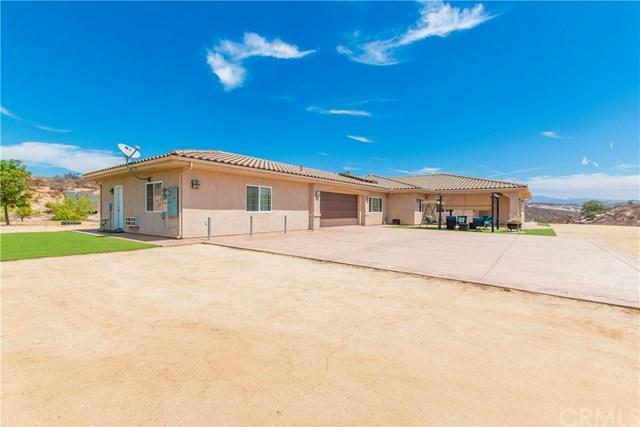 Also attached to the home is a private suite complete with a full kitchen, full bath, & laundry perfect for when the in-laws come visit or need to stay for a long period of time. The home is powered by a ground mounted solar electric system to eliminate the high cost of electricity. With plenty of land for privacy and AMAZING views from all directions this house is ready for you to move in & make it your next dream home! Sold by David Harbison of Barnett Renderos.